MANCHESTER, NH (December 20, 2018) — St. Mary’s Bank, the nation’s first credit union, is pleased to welcome Jessica McQuaid as Community Relations Coordinator. McQuaid will oversee all of the credit union’s community outreach programs, charitable giving, education programs, and events. She will utilize her extensive community connections to support the credit union philosophy of people helping people by committing financial resources to local non-profits and building new relationships to grow St. Mary’s Bank’s dedication to volunteerism. McQuaid has held key marketing roles in various New Hampshire non-profits. 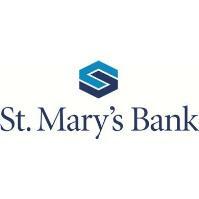 Prior to joining St. Mary’s Bank, she managed digital marketing at Catholic Charities New Hampshire and community outreach and financial literacy programs at America’s Credit Union Museum, housed in the building of the first St. Mary’s Bank location. She holds a Bachelor of Arts in English from the University at Albany and a MBA from the University of Southern Maine.